When I was contacted by Frezyderm to try out a couple of their many products I was instantly excited and agreed immediately. 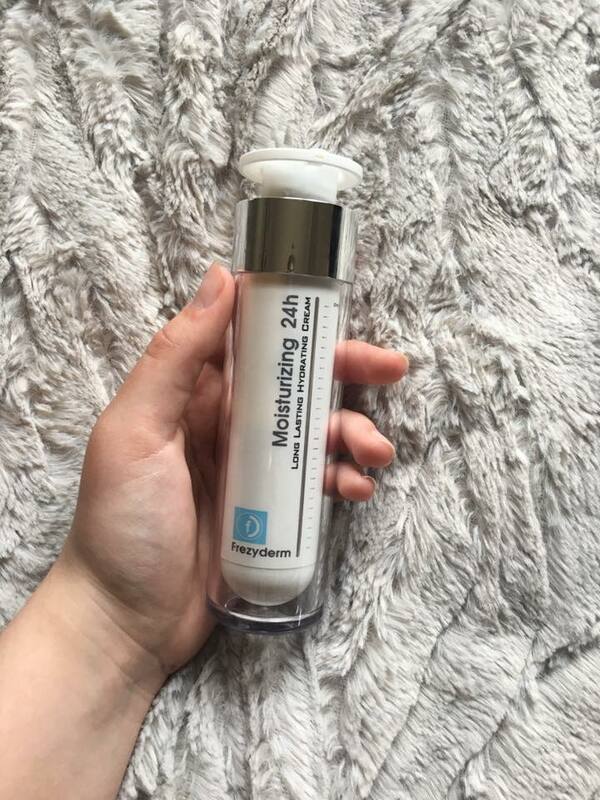 Frezyderm is an award winning skincare brand originally established in Greece and have newly become available here in the UK. 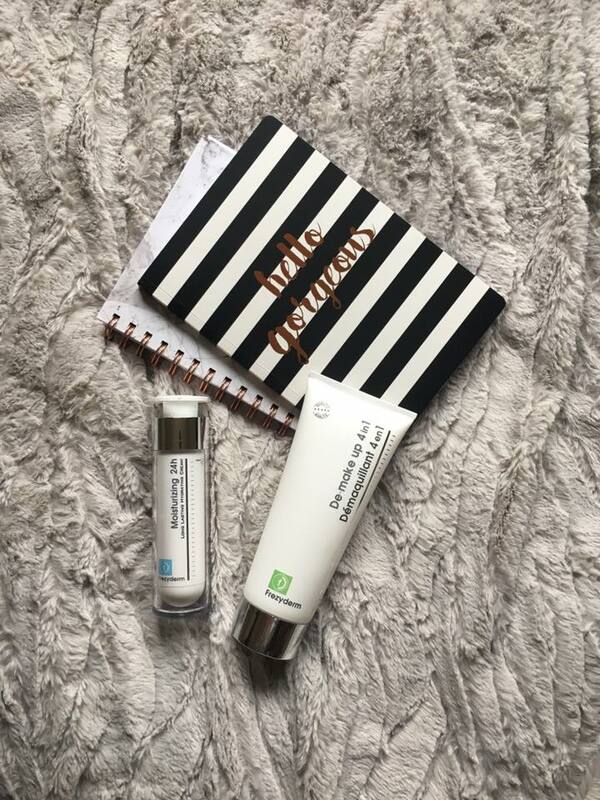 They specialise in day-to-day skincare, eczema, sensitive red skin, acne, oral health, sun protection, psoriasis, as well as baby and child care. All the raw materials that are inputted into their products are of the highest quality, and what’s even better is that their products are strictly anti animal testing with all products being tested on volunteers from clinical labs. The two products in which they sent me were the 24 hour Moisturising cream and the De make up 4 in 1. My skin goes through phases of being oily to extremely dry, and this is sometimes dependent upon the weather outside. I used to very rarely use a moisturiser, which was partly down to laziness. Over the last month though I have been applying this moisturiser every morning and my skin feels amazing for the rest of the day. It physically feels soft whenever I touch it and feels flawless – especially on non-make up days. This has definitely came in handy with the dry weather this month, and there’s not been a single bit of dry skin appear! If you want your skin to feel hydrated the entire day with only applying it once, then you should definitely give this product a go. It’s on the slightly expensive-but-affordable side for a moisturiser at £16.50 on their website (which I shall link at the end of this post! ), but it is definitely worth it. I will be for sure re-purchasing this once I’ve finished! This product here, if you haven’t guessed by the name, is a make-up remover. I’ve always been very simple and boring when removing my make-up and just used good old water and make-up wipes, but I’ve noticed this doesn’t always get everything off. I’ve been using the De-makeup with a cotton pad to remove my makeup each night and it’s amazing to see how much more gets off my face compared to my usual wipe. 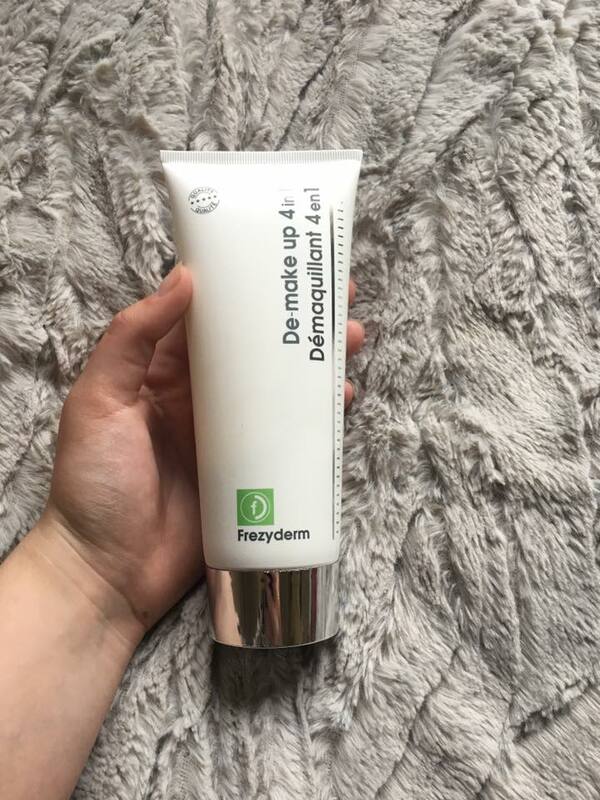 I firstly tested removing my make-up in my usual routine with a wipe, and when I believed all my makeup was off, I used this product with a cotton pad and I found make-up still being removed! I’ve said goodbye to make-up wipes and been using this every night. It’s also really amazing to remove my ‘Benefit They’re Real!’ mascara which was always a struggle to get off before. This product is £10.99 which I think is well priced – especially for the size of the product! This product was also honoured by the 2017 Beauty Shortlist Awards as the Editors Choice. These are just two of the many ranges of products they have available for all skin types and I have already been checking out their other products. I spotted a neck contour cream which lifts and firms the neck to reduce a double chin! This will definitely need to be tested out next! You can check out all of Frezyderm’s products here and go wild! Massive thank you to Frezyderm again for sending these over and letting me try them out – I have not been disappointed in the slightest! Previous Post The perfect Spring day out! Next Post My Everyday Make-up!